W CLUB SPA BREAKS OFFER A TRULY SPECIAL EXPERIENCE TO THOSE IN NEED OF REST AND RECUPERATION. FIRST AND FOREMOST WE WANT TO MAKE OUR CLIENTS FEEL PAMPERED, AND IN ORDER TO DO SO WE CAN TAILOR-MAKE ANY TYPE OF SPA RETREAT TO SUIT OUR GUESTS. Whether it is a one-off Spa experience or a full long-weekend treat including a stay in one of our 5-star cottages, we can provide what it takes to make you feel relaxed for your entire stay, from delicious prepared meals ready on arrival to a personal chef. We also have the advantage of the Weir Restaurant, situated on site and providers of a very good English Breakfast to help kick-start your day. They provide a super menu for healthy lunches and offer a daily Specials Board. If you are on a Spa Day or Break you are entitled to a 10% discount Weir Voucher. BANISH THOSE WINTER BLUES AND HEAD TO CORNWALL FOR ONE OF OUR LUXURY SPA BREAKS. COTTAGES SLEEPING 4 – 10 PEOPLE. INCLUDES FREE USE OF ALL FACILITIES. 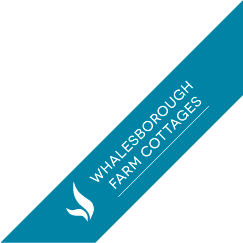 For all our spa breaks, you will be accommodated in the luxury 5 star cottages on site at Whalesborough. ARE YOU LOOKING FOR A PERFECT GIFT FOR A FRIEND OR LOVED ONE? SPA VOUCHERS MAKE THE IDEAL PRESENT FOR SOMEONE SPECIAL. PRICES FROM £10 to Unlimited!